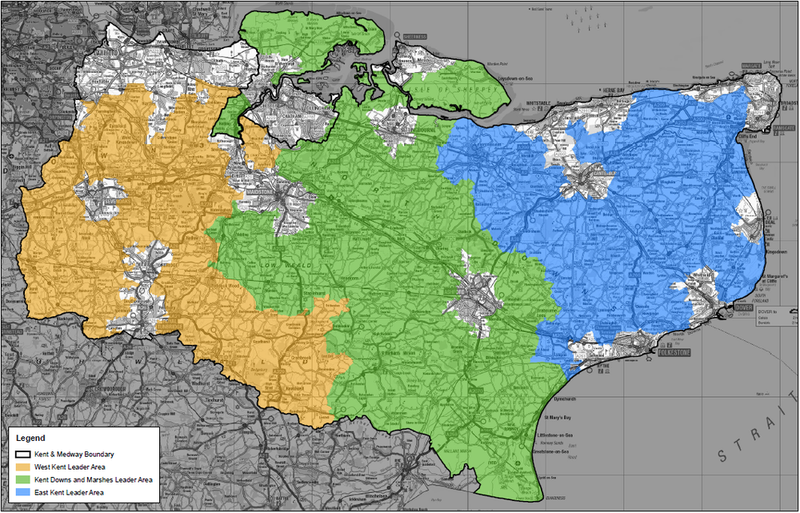 Businesses and Communities will be eligible if they or their project is in the Kent Downs and Marshes or East Kent LEADER area. You can find out if you are in an eligible area by using the postcode checker tool or checking the map below. If you have a project idea and you are in our area, please see the Applicants Handbook for further details on what LEADER can fund or contact us for further information. For details on the West Kent LEADER programme please visit their website.